You are here: Home / News / Jiu Jitsu Belt Promos at ATTHD! Jiu Jitsu Belt Promos at ATTHD! Last night, the ATTHD jiu jitsu padawans gathered for our inaugural belt promotion ceremony. It’s been great to see the program grow, and I look forward to working with all of you every day. Special congratulations to Jeff Molina and Brandon Hoberecht. 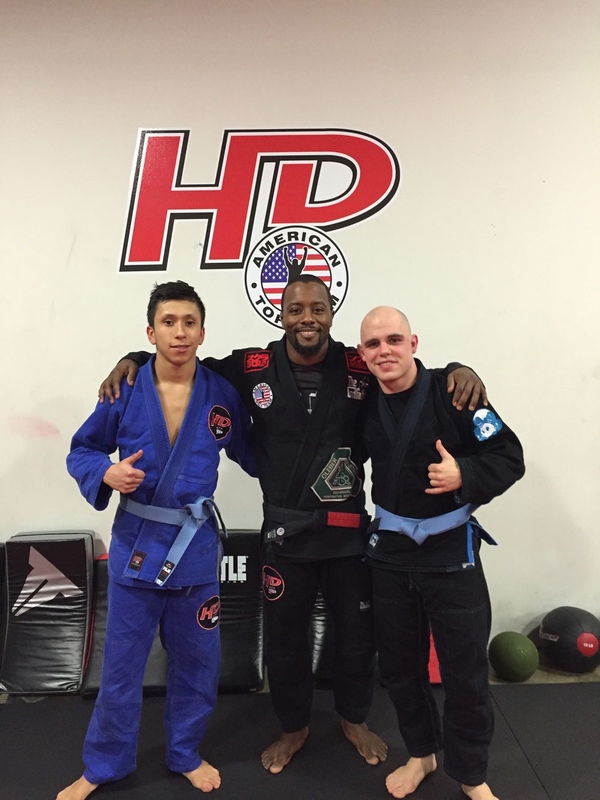 I am honored to promote you both to blue belt and to have you as part of our gym.